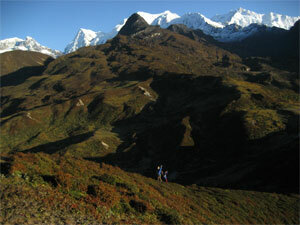 The Sikkim Biodiversity Centre will be established under the Project. The Centre will function as a platform for the public to carry out extension and awareness raising activities. The Centre will be managed by the Forest Department, which may provide personnel as the Director of the Centre. Two additional full-time staff will manage the Centre. External users such as research teams and conference participants will be charged a fee to finance the Center?s operational costs, and the amount to be charged should be determined accordingly. A research and extension grant scheme for the enhancement of biodiversity research and extension activities by concerned parties will be managed by the research, training, and outreach section of the Sikkim Biodiversity Centre. The scheme will provide a window of opportunities not only for the Forest Department but also for universities, schools, local governments, the private sector, NGOs, communities, and individuals to engage in the conservation and management of biodiversity and in raising awareness about sustainable resource use. Booklets of best practices regarding biodiversity conservation and management, and its appropriate utilization will be produced and disseminated to school children, tourists, and general public at festivals, fairs, and public events.